For people in Singapore with eyesight disturbances, undergoing an eye surgery can help regain perfect or close-to-perfect vision. 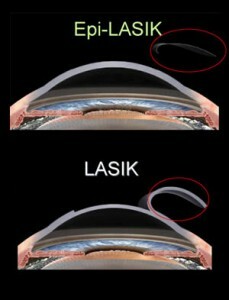 Among the most performed eyesight correction procedures in Singapore are Epi-LASIK and LASIK. Epi-LASIK is a newer form of eye surgery and involves lasers much compared to LASIK. The new procedure was developed mainly to solve or avoid some complications involved in traditional eye surgery. Here are some more differences of the two eye surgery techniques. 1. The cornea is not cut. In Epi-LASIK, only the topmost layer of epithelium is removed and the cornea is preserved and uncut. Since cornea flap is not needed, and laser reshaping is done only at the corneal surface, there’s no risk of flap dislodgement, cornea infection, flap wrinkles or inflammation. On the other hand, LASIK has to cut a layer of the cornea to create a flap, which is the number one cause of complications in post-operative period. 2. Preserve cornea structure. Since the newer method does not require corneal incision, less damage is done and no cornea weakening will happen after healing. 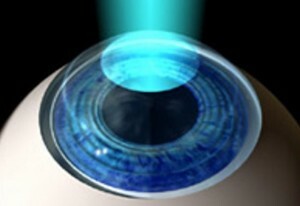 Also, the excimer laser is applied only on the topmost surface of the eye. Because of the method’s less invasive procedure, the strength, structure, and healthy tissues of the cornea are preserved and cornea-related complications are kept at bay. 3. Preparation for next operation, if needed. Unlike LASIK, where the cornea is cut to create a flap, Epi-LASIK causes less damage and doesn’t waste healthy corneal tissues. The newer method also preserves the structure of the cornea which is necessary in case of a second upgrade or for any eye-related surgery, such as that for presbyopia. 4. Suitable for most patients. Epi-LASIK doesn’t require cutting of cornea; therefore, even Singapore patients with thin corneas and rejected to undergo LASIK surgery can now have the chance to regain perfect eyesight. The latest method sculpts the curvature of the cornea only at the surface, therefore it is suitable even for people with very thin corneas. 5. A better option for Singapore people with high myopia. For people with high myopia, more corneal tissue will have to be used for laser sculpting, and because of this, many Singapore patients with high myopia are rejected or denied from taking LASIK by Dr Tony Ho in Singapore surgery. However, in Epi-LASIK, creating a cornea flap is no longer needed. Reshaping of the cornea with the use of excimer laser can be done right at the topmost layer of the cornea, leaving the eye with healthy cornea tissue after the procedure. This simply means that people in Singapore with high level of myopia can now have a chance to correct their vision. 6. Enjoy active lifestyle after surgery. With the new eye surgery technique, many Singapore patients with active lifestyle have resumed their activities weeks, or even just days after their surgery. There’s no need to worry about flap dislodgement when rubbing the eyes or engaging in physical contact activities, such as martial arts and boxing. Sky diving and scuba diving can even be performed without any more worries or hold backs.